A 34" x 99" slab of claro walnut mounted on a steel base custom fabricated by Sam in the metal shop. I have one more of these slabs available. 8/27/09 Sold it ! 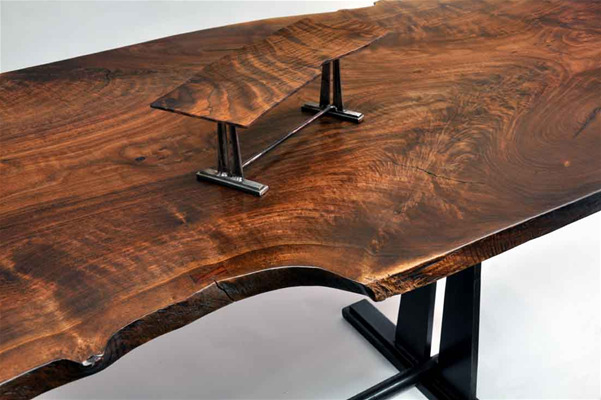 A contemporary table on the Nakashima slab top table. Prices for these tables are totally influenced by the price of the slab selected and as such, are priced on request. the price listed below is approximate.